Find shared and reseller web hosting, virtual and dedicated servers, and Installatron Plugin distributors. Established in 2005, NuBlue are a leading provider of Web Hosting in the UK, and have forged a reputation for efficient, friendly, and highly capable support. We deploy Installatron across all our Shared, VPS and Dedicated Server platforms. Privately financed and owned, we put our clients first. BuyCPanel is the LARGEST and LONGEST OPERATING provider of quality cPanel licenses and support packages. We have the LOWEST prices and BEST service! With thousands of satisfied customers, we take pride in offering licensing for monthly, yearly and multi-year cPanel, VPS, Installatron, RVskins, and WHMxtra licenses! Feel free to call or email us with any licensing questions. We diligently return ALL SALES and SUPPORT emails within 30 minutes. Our strength lies in our people. Because of our background as software developers, we have the benefit of an extremely talented development team, whose members are constantly adding functionality to our cloud. Our system administrators are always happy to offer advice on VPS performance and security and will support you in optimising your environment’s set-up. 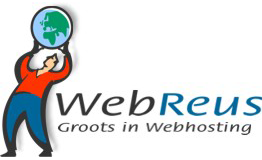 Argeweb is een van de grootste en meest succesvolle hostingproviders van Nederland. Met als missie om de online ambities van klanten waar te maken, werkt het gehele team aan een zo goed mogelijke klantbeleving. Met persoonlijke aandacht, ongekend goede support en relevante diensten om online succesvol te zijn onderscheiden zij zich. Leading web hosting services provider in Lithuania. Simple Helix is an advanced web hosting company specializing in eCommerce solutions. Simple Helix combines the fastest, most reliable hardware in the industry with the highest performing infrastructure, to create an optimal environment for hosting eCommerce sites. Backed by a superior 24/7 customer support team, the Simple Helix platform maintains an unsurpassed level of quality, innovation and performance in order to provide customers reassurance that his/her eCommerce store will be supported by the hardware and resources needed to maximize revenue. In 1998, "The use of new communication and computer technologies to provide customers with world-class solutions" which set out the principle of FBS IT Solutions, the twelve (13) year period the world and in Turkey, one of the largest domain and hosting companies (isimtescil.net) giving reached this goal. Starting in 2011, operations in Turkey NAME REGISTRATION WEB TECHNOLOGIES CORP. will carry out with the title. 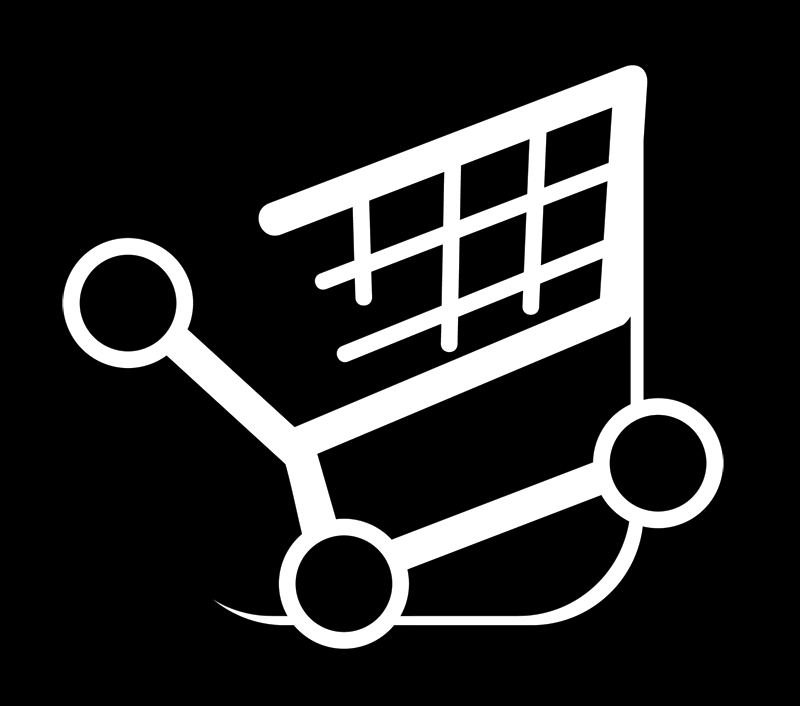 IsimTescil.NET provides product supply for many companies. Some of these are as follows. Netsons è un brand ed un servizio offerto dalla Supernova s.r.l. Supernova conta più di 72000 clienti in Italia ed in Europa, per servizi di hosting, server virtuali, server dedicati, soluzioni IT. La Supernova è tra i primi posti per le proprie offerte di servizi hosting e soluzioni Internet sul mercato italiano. L'obiettivo primario è lo sviluppo ed il miglioramento delle soluzioni IT e delle relative applicazioni, volte ad automatizzare ed a facilitare le operazioni e le meccaniche più comuni. VentraIP Australia is the largest privately owned and self funded online solution providers in Australia, backed by a team of industry veterans and technical professionals who ensure our customers always receive the VIP treatment. Cheap domain name registration and web hosting. Crazy Domains is a domain name registrar for registering cheap internet domain names. Our deals are the best. Whether you want to register your own unique domain name or find the fastest and most reliable web hosting solution, we aim to give you exactly what you want. Choose from our huge range of tailored plans for businesses through to home users. If you can’t find what you need, we can also customize a plan for your specific requirements. All packed with features and choices. All at the very best price. Aspiration Hosting was founded in the year 2008 and we have transitioned to Aspiration Hosting Inc in the year 2013. We specialize in high-performance hosting solutions with our main focus on Magento Hosting as well as other PHP Applications like SimpleMachines Forum (SMF), WordPress, Drupal, Joomla, etc. LicensePal Limited is a privately owned company based (Registered UK Company: #07230912) in the UK. We are a well established software reseller, focusing on software related to the hosting market. The vast range of products we offer, combined with our low prices and great service has made us very popular in the hosting industry. More than 2000 clients rely on us to provide them with the software they require to run their businesses. sPD Hosting provides web hosting on Linux and windows based platform, currently hosts over 500 web servers with 25,000 websites. Benieuwd naar de mogelijkheden van morgen? Wij in ieder geval wel. Internet is de belangrijkste spil tussen nu en de toekomst. Daar speelt iXL hosting handig op in. Onze hostingservice leeft. Het enige dat er niet dagelijks aan verandert is zijn betrouwbare kwaliteit. KeurigOnline biedt hoogwaardige shared webhosting oplossingen voor een eerlijke prijs. Al onze pakketten staan op dezelfde pijlsnelle servers en zijn inclusief PHP/MySQL, E-mail, Back-ups, Telefonische support en Installatron. Een fris bedrijf wat dagelijks een enorme groei doormaakt doordat het simpelweg uitmuntende service levert en klanten voorziet van zeer gebruiksvriendelijke en kwalitatief goede webhosting. Het bedrijf word door alle klanten gewaardeerd met 5 uit de 5 sterren, wat een ontzettend goede waardering is. Het gehele bestelproces is volledig geautomatiseerd waardoor Vimexx een product na bestelling direct kan opleveren aan de klant. Hier bespaar je als bedrijf veel kosten, waaronder personeelskosten mee. Deze besparing is volledig doorgerekend in de prijs waardoor Vimexx de goedkope webhosting van Nederland en Belgie levert. Sered.net es una empresa de alojamiento web, Fundada en el año 2007 en España y especializada en alojamiento web, servidores virtuales, servidores dedicados, email marketing, y muchos otros servicios relacionados con internet y las nuevas tecnologias. Actualmente mas de 12 mil clientes en todos el mundo nos avalan y motivan cada dia a continuar mejorando. NOVATREND is one of the biggest Hosting-Provider in Switzerland and offers all ranges of Hosting-Solutions from Shared to Business and Reseller Hostings up to VPS and dedicated Servers. NetVirtue offers discount licences and premium grade hosting services. All our services offer Web and API access with WHMCS modules. We're here to help 24/7. Spango Internet B.V. has been a fast growing, dynamic company since 2002 aiming at quality and service. Spango Internet is “a top level” business hosting provider mainly focusing on the business and internet project market. Plus Hosting was founded in February 2001 as a small business which offered web hosting and related services. With high-quality technical support and affordable prices, it managed to take on most of the Croatian web hosting market. In February 2010, Plus Hosting begins to operate as a company, I.T. Plus d.o.o. Hostingpalvelu.fi on suomalainen hosting-alan yritys. Asiakkaita meillä on jo yli 10 000. Tilaa meiltä korkean käytettävyyden webhotelli, domain ja/tai VPS. Palveluumme kuuluu myös kotisivukone, SpamExpertsin tehokas roskapostisuodatin ja tietysti Installatron. 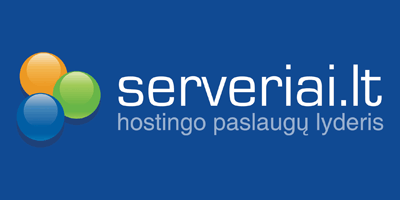 Hostingservice.fi is a Hosting Provider from Finland with more than 10 000 customers. You can order web hosting package, VPS and/or a domain with HA from us. We also have a Sitebuilder, SpamExperts for filtering spam and of course Installatron. Websavers Inc. is a personable and socially responsible website hosting company that was founded in 2004 in Halifax, Nova Scotia. We aim to be the easiest to use web hosting provider in the world. We are the UK’s only specialist Magento hosting provider, providing dedicated, cloud and shared hosting whilst fully supporting Magento at the application level. We have over 20 years experience in providing cutting edge, performance driven hosting solutions for sme and enterprise businesses. PANTHUR offers premium and reliable web hosting and domain services in Australia for businesses and individuals. Yuan-Jhen provide you with Installatron powered shared hosting service in Taiwan. Radicenter web hosting package is ment for private and business customers who wish to host a web page and/or E-mail services. With over 9 years of experience, 300 servers and hosting over 10,000 websites we are the hosting provider you're looking for. We offer high quality Virtual Private Servers (VPS), dedicated servers and colocation services. If you are looking for a custom made hosting solutions don't hesitate to contact us. Webcreating wil het beste bieden aan al haar klanten. Wij streven naar de beste kwaliteit voor al onze producten, maar voor een eerlijke prijs. Webcreating hanteert een persoonlijke aanpak en geeft iedere klant de professionele service waar hij recht op heeft. Zoner on suomalainen hosting-yritys, jolla on jo yli 6000 tyytyväistä asiakasta! Webhotellimme ovat huippunopeita ja sisältävät mm. oman domainin, kotisivutilan, sähköpostipalvelut, varmuuskopioinnin ja tietysti myös Installatron -asennusohjelman. Louhi webhotelli™ on Suomen suosituimpia webhotellipalveluita. Yli 16.000 asiakasta käyttää webhotelli-tuotteitamme. Kotisivut, sähköposti tai webmail? Louhella nämä yhdistyvät kaikissa webhotelli-tuotteissa. Louhi Webhotelli™ on helpoin ja nopein tapa saada sähköpostit ja verkkosivut omalla verkkotunnuksella. Ermis maakt het u makkelijk. Wij houden van techniek, u houdt ervan om onbezorgd online aan de slag te gaan. Daarom ontwerpen wij onze internetdiensten zo dat ze eenvoudig toegankelijk zijn voor iedere klant en voor ieder kennisniveau. Net Origin is an Australian owned and operated hosting company that takes web hosting to the next level through our reliable and affordable hosting solutions. We offer quality web, reseller, VPS, and CDN hosting, as well as affordable domain names. Rest assured knowing that you are using a true business grade service which is backed by an SLA. Waarom Hostingwalk Hostingwalk is met meer honderden klanten in België , Nederland en Luxemburg één van de grote webhosting providers. Wij zijn een provider die het vanaf een andere kant bekijken waardoor de klant altijd voorop staat, zo hebben wij geen opzegtermijn. IceHosting is een hosting bedrijf opgericht in 2004. Onze diensten variëren van webhosting en domeinregistratie tot complete managed dedicated servers. Rapidenet Canada - Hébergeur de sites Web - Nom de Domaine - Le meilleur hébergeur de sites web au Canada - Protection (WAF) contre le piratage de vos sites web. Blacknight are an Irish based, ICANN accredited domain registrar and hosting company. Recipients of several awards for their revolutionary use of social media, Blacknight are one of Europe’s most cutting edge Internet companies. Blacknight constantly seek to lead the way by introducing innovative solutions for its client base and provide dedicated servers and colocation as well as a comprehensive range of Microsoft Windows and Linux based hosting plans and domain name registration services to business globally. Micron21 Pty Ltd is a Melbourne Datacentre in the outer east part of Melbourne, privately funded, we own our entire infrastructure. Micron 21 has been established to provide businesses with high quality datacenter facilities. Hosting de Páginas de Internet, VPS, Servidores Dedicados, EMail Hosting,Registo de Domínios. Configurações para todo o tipo de utilizadores. Ping Groep Benelux is aanbieder van shared webhosting - dedicated (web)servers en Virtual Private (web)Servers (VPS). Danhost is your safety for high quality hosting and we have delivered secure and stable hosting solutions since 1997. Our mission is and has always been to be the professional IT-business partner of the marked. As many companies and end-users know, licensing is an essential part of doing business online. Thus, we embarked on building a company that would provide licensing services, as well as technical advise on what products best suite our customer's needs on a case by case basis. We want to ensure that you obtain just the right license to take your business to the next level; we want to work with you to ensure your business continues to flourish. MultiHosting, Web Hosting, Virtual & Dedicated Servers, Domains, Radio & Video Streaming. XILO is a UK-based company, providing reliable and cost effective hosting solutions, from shared and reseller hosting, domain name registration, dedicated and virtual private services and SSL certificates. SeFlow delivers next-generation web hosting, virtual servers and dedicated server on a global basis from two geographically diverse facilities in Milan, Italy. Utilizing proprietary management tools coupled with the industry's first network-within-a-network topology, the company delivers unprecedented power and control to securely manage IT environments while providing unparalleled scalability. Bij Networking4all kunt u terecht voor SSL Certificaten, Hosting, VPS en domeinnamen. Bij Networking staat service voor op en denken we mee met onze klanten. Ook kunt u bij ons terecht voor maatwerk. Linulex hosting, reseller hosting, domain registrations and dedicated servers. We specialize in Linux hosting. Installatron installer included free with every hosting and resellers account. CyberServ BV is an internet service provider, offering webhosting, virtual servers, dedicated servers and colocation in Amsterdam, Schiphol-Rijk, the Netherlands. Spanish company specialized in Joomla! webhosting. We offer free Joomla! support to all our customers of shared, reseller, virtual cloud servers and dedicated servers hosting. Since 2003. 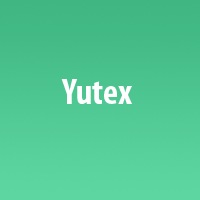 We host also Wordpress, Prestashop and Moodle. Springs Hosting is 100% dedicated to providing the best possible customer support in a timely and courteous manner without the complicated acronyms. We are understanding of non-technical users and our services do not require you to be an expert. After all, if everyone was an expert at what we do, we would have to find a new career. English: Just Host is a high service level web host in The Netherlands. Dutch: Just Host is een webhost met een zeer hoog service level in Nederland. Webhotelli.fi on palveluntarjoaja, joka on erikoistunut edullisten webhotellien tarjoamiseen kuluttajille, yhteisöille ja pienille yrityksille. We are a UK based web hosting company that pride ourselves on combining great UK based technical support with response times measured in minutes not days or hours with fully features plans, generous usage allowances and proactively monitored servers, all at a reasonable price. DWHS Inc.(now WebHost.pro) was started in 2001 by corporate webmasters that got fed up with web hosting services that had hidden charges and unstable networks. At the time web hosting had a serious need for services that where affordable and professional. We don't do it cheap, but we do it right. Fast, reliable and secure. Offering shared web hosting, managed VPS, and managed cloud solutions. We have been in the hosting industry since 2001. From the beginning, our hosting has always been about more than just the technical aspects of hosting and we have established strong social connections with customers. Hosting4.nl business solutions delivers solid business hosting services, reseller hosting, vps servers, dedicated servers and colocation services. Vivor provides premium internet hosting services to customers throughout Europe. Goscomb Technologies are London (UK) based providers of business grade Network and Hosting Services operating an International network. Based on this solid foundation Goscomb Technologies can offer a range of services from simple website hosting through to collocation and BGP IP / data transit at a variety of speeds in the UK, Netherlands, France and the USA. VertexHost provides MySQL optimized hosting for your MySQL based scripts. Since 1997, Parcom has been offering secure web hosting services to clients around the world! We built our network around security first. You want to host your sites with someone who knows you and values your business. Lyons Digital is a client focused host that wants to help your success. We give you great tools like CPanel, CloudFlare and Installatron to make your job easier. Fast2Host is one of the UK's leading independent web hosting companies, providing the best in business and affordable web hosting solutions for thousands of customers worldwide. 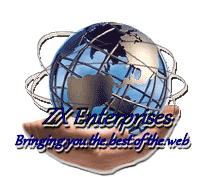 We have supplied quality web hosting services since 2000 and have won a number of awards. Fast2host Ltd hosts all dedicated servers, in our Cambridge datacentre, on-site ! We do not use other companies network or datacentres, allowing us full control over all aspects of hosting. Zen Hosting helps clients achieve their online dreams, providing reliable, low-price products backed by technical expertise with five-star ratings. Services include Domain Name Registration, Economy Web Hosting, Business Hosting, Reseller Hosting, VPS Hosting and SSL Certificates. Full Service Shared Hosting, Dedicated Hosting and Domain Registration. Since 2008, FireMultimedia deliver high quality shared hosting, reseller hosting, vps hosting and virtual dedicated servers. Our company and hardware are located in The Netherlands. Installatron are included with shared- and reseller hosting. Interwijs is een full service internetbureau. Ons doel is het leveren van online succes. Wij zijn gespecialiseerd in webshops, websites, online marketing, hosting en domeinnamen. Wij worden gedreven door de instelling dat ‘oplossingen’ een positieve bijdrage leveren aan uw bedrijfsvoering of uw bedrijfsresultaat. Onze oplossingen zijn niet het doel maar een middel. Wij zetten ons in voor een langere termijn relatie met onze klant. Uiteraard lukt dit alleen als een klant tevreden is en succes heeft met het product of de dienst die we leveren. Wij hebben pas succes als u dat ook heeft! Relentless Hosting provide fast, secure web hosting for our Australian customers. Daily backups as well as SSD storage comes standard with all plans at no extra cost as well as our 99.9% uptime and 30 day Money Back Guarantee. AnHonestHost provides good, honest hosting packages with resources you can really use. We stand by our offers believe that we can help customers have a better experience on the internet. Since 1998, A1 Web Solutions has been providing quality Tier1 web hosting and data management solutions for organizations both large and small. With more than 25000 customers across Europe City Network is one of the leading European hosting companies. Core services include public cloud as well as private clouds. Dedicated environments as well as shared hosting and domain services. Swedish web hosting company active since 1996. U zult merken dat er geen sprake meer zal zijn van een trage website wanneer u zich heeft aangesloten bij Abbatis. Met slimme caching, uitgebreide monitoring, constante verbeteringen en ons SSD only beleid bent u verzekerd van een schot in de roos qua Wordpress hosting, Magento hosting, shared hosting en reseller hosting. ssdhost.me stands for simple server data. we give you some thing simple, hosting... ! :-) our sales email is listed below. fast support contact on website. SHQ, provides managed SSD Hosting, Webshop hosting and SSD VPS servers. Web hosting usluge pružamo za preko 2800 klijenata već duže od 8 godina. Nudimo profesionalni web hosting po povoljnim cijenama vrhunske kvalitete, a uz vaš novi web hosting paket potrebna vam je i super domena. EvanheckCreations is een full-service internet en mediabureau in Rotterdam en omstreken. Wij verzorgen het ontwikkelen van apps, websites, webwinkels en websoftware. Difference Hosting Australia provides economy, business and reseller grade shared website hosting, domain names, SSL certificates and online SMS services with an emphasis on customer service. AVS Networks is one of Australia’s most experienced hosting companies, having been in in the industry since 1997. AVS Networks provides top quality solutions - everything from enterprise cloud hosting to web hosting and colocation. IbericaHost specializes in dedicated servers, domain names, hosting, and internet radio. Founded in 2004, IbericaHost bases its infrascturcture in Palma de Mallorca, Spain, and offer 24x7 technical support! Try us, we are the real solution to provide a very good service and best price. Behostings.com fournit des services d'hébergement de sites internet pour tout projet. Hébergement Mutualisé, Serveurs Virtuels, Serveurs Dédiés. Nous sommes registrars agréé pour les domaines .be et .eu. Web hosting za Vaše web stranice, 500mb samo 336kn god. Profesionalna usluga web hosting smještaja stranica. Više od 11 god. iskustva web hosting usluga. Profesionalni pristup i podrška prema svakom klijentu nam je osnovni prioritet u svakodnevnom poslovanju. True Negative focuses on providing the highest quality shared hosting, virtual private servers (VPS), dedicated servers and colocation. True Negative will never “over-sell” its server capacities. Your hosting needs will always be available, reliable and fast. Most importantly, True Negative provides “24-7″ support, “99.9%” up-time” and a 30 day, money back guarantee. True Negative – a Positive for you and your company!!! Onze kracht ligt in ons bedrijf! USCN Internet Services B.V. ziet men niet als klant, maar als partner waarbij het succes van de klant, ons succes is. Wij stellen de partner in staat hun doelen te bereiken door onze ervaring en kennis te combineren met de ambitie en wensen van de partner, of het nu gaat om colocatie, webhosting, resellerhosting of een van onze andere diensten. Infomaniak is #1 Swiss web hosting provider and offers shared SSD web hosting, SSD Cloud servers, housing and video and audio streaming services. Linevast.de offers reliable shared-webhosting services including the installatron auto-installer. Try our hassle-free web control-panel to deploy your website within seconds. We accept a lot different payment methods. If you have any questions or feedback, please don't hesitate to contact us! Duplika ofrece servicios de web hosting con SSD. 10 años de experiencia, 4000 clientes y nuestra garantía de uptime 99,9% que nos avalan. SOLVEFORCE IS A TELECOMMUNICATIONS AGENCY AND I.T. CONSULTANCY FIRM AND WAS FOUNDED IN 2004. WE PROVIDE UNIFIED CLOUD COMMUNICATIONS TO ALL SIZES AND KINDS OF BUSINESSES AND DO NOT DISCRIMINATE. WE PROMOTE TECHNOLOGICAL WISDOM THROUGH THE APPLICATION OF KNOWLEDGE THROUGH COLLECTIVE SOURCES THAT INTEGRATE OFFLINE AND ONLINE CORRESPONDING CORRELATING SOLUTIONS COMPRISING OF COMPLEX SOPHISTICATED SOLUTIONS THROUGH SIMPLIFICATION. Soma Systems on kotimainen palveluntarjoaja jonka kautta saat webhotellipalvelut ja verkkotunnukset edullisesti. myH2Oservers is in 2005 als eenmanszaak opgericht en per 2018 overgegaan in myH2Oservers B.V. Zakelijk leveren wij veel managed diensten, zoals virtuele servers met hoge beschikbaarheid ten behoeve van webhosting. Bij particulieren gaat het om de serieuze hobby websites. Dankzij de jarenlanged ervaring kennen wij onze producten en kunnen wij onze klanten snel en doeltreffend van dienst zijn. Ons streven is om kwaliteit te leveren en tegelijkertijd betaalbaar te zijn, voor zowel de consumenten als de zakelijke markt. Daarbij wordt onze persoonlijke aanpak als zeer prettig ervaren. We provide managed hosting services on virtual servers. Hostens is a division of the leading hosting company in Lithuania "Interneto Vizija" which was founded in 2003. By combining affordable and scalable options with enterprise-level technology, we are able to supply our customers with domain registration, web hosting and VPS services. We offer UK phone support, daily backups. email, cPanel and so much more as standard on all plans. Since 2002 over 11,000 clients have placed their trust in Krystal to deliver their websites reliably - we hope you'll join us. ExactHost is one of the leading internet web hosting companies in The Netherlands and Belgium, with an emphasis on support, reliability, speed and innovation in both website or server hosting and domain name registrations. ExactHost since 2002 available on the Internet web hosting and domain name registration market in the Netherlands and Belgium and is currently working with its strategic partner in Turkey more than 20,000 domains over 7,500 sites and more than 500 servers. At Red-H : Web Hosting Services Inc., we have been providing enterprise-level hosting solutions since 2012. We cater specifically to Canadian individuals, businesses, government organizations. We service companies of all sizes - ranging from small sole proprietorships to large multinational companies - with equal levels of dedication and support. We always value your business, and it is this philosophy that has kept us successful throughout our existence..